Haatchi is a three-legged Anatolian Shepherd dog. His back left leg and tail were amputated after he was tied to a railway line and then hit by a train. But he survived and was adopted by the family of Owen Howkins. Owen himself has a rare genetic condition, Schwartz-Jampel syndrome, which causes his muscles to be permanently tense. 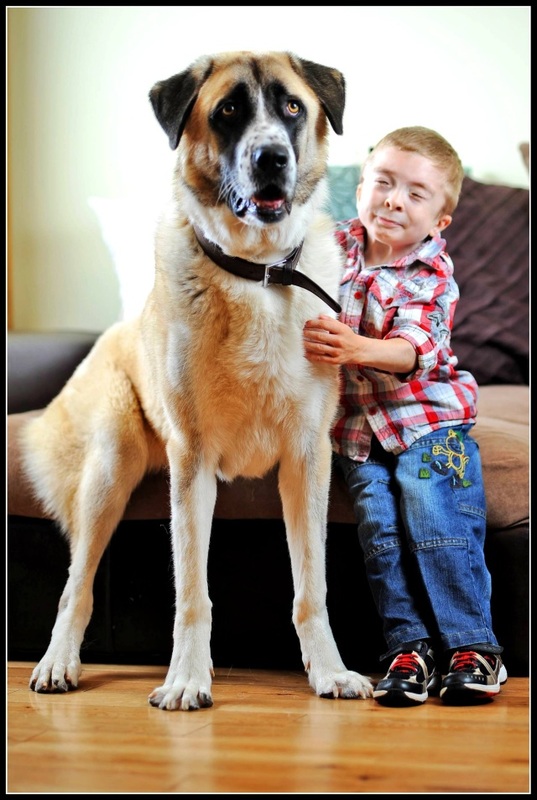 Haatchi was awarded the title of Friends for Life at Crufts this year. 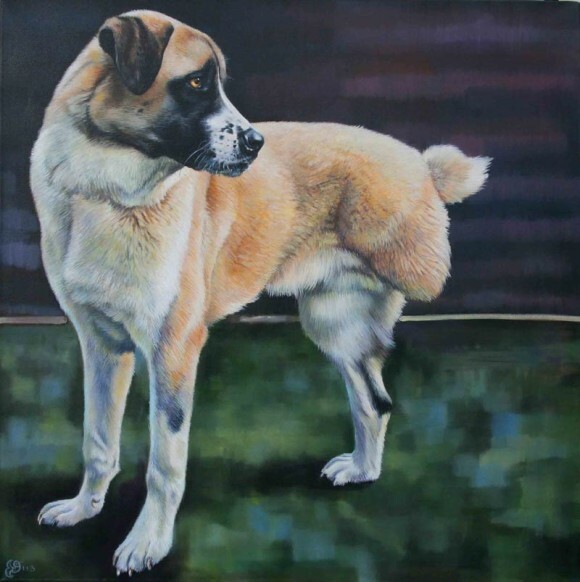 And this is the portrait of Haatchi painted by Sara Abott. May’s comment: Dogs heal. Wish many more people can see that quality in them. Sara’s portrait of Haatchi shows a strong healthy dog and then you realise he is missing one leg. One of my favorite charities is called Paws with a Cause. They are based in Grand Rapids, Michigan in the U.S. They train assistance dogs for people with disabilities. It is amazing how much love, dignity and function those dogs bring into their partners’ lives. Don’t they just. They are truly man’s best friend – you hear so many stories of how dogs have changed lives (even mine) and yet you also hear horrible stories of how they are treated.